Enabling a gamut of advanced features based on next-generation SIP protocol. 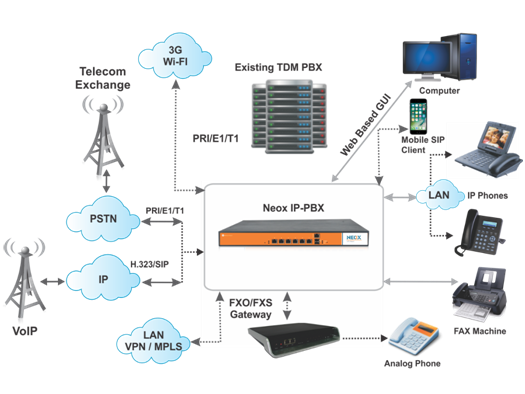 NEOX IP-PBX offers PBX features that transform a business organization into an agile enterprise. Giving a holistic point-of view for voice communication needs, it offers technology versatility, utmost cost-efficiency and extreme flexibility blended with desired scalability. Clad with a variety of rich and flexible features, the solution supports a range of IP Phones, Media Gateways and SIP client. 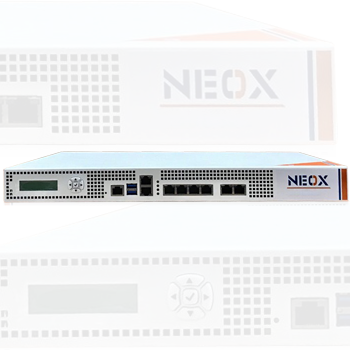 Moreover, NEOX IP-PBX box also easily integrates with your current network environment. Enterprise system administrators can also monitor calls and track usage by extensions in real-time. Ensuring higher successful call ratio becomes simpler with the advanced features of multiple trunk line support, failover mechanism and least-cost routing. Supports both Analog & IP phones.